The union's statement came a week after its vice president, who has often taken combative stances in his dealings with the city, retired from the Seattle Police Department and took a civilian job as the guild's director of labor relations and media. Hours after Seattle police fatally shot a man suspected in a killing early Thursday, the union representing rank-and-file officers declared the officers’ actions were justified, even as law-enforcement investigations were beginning. 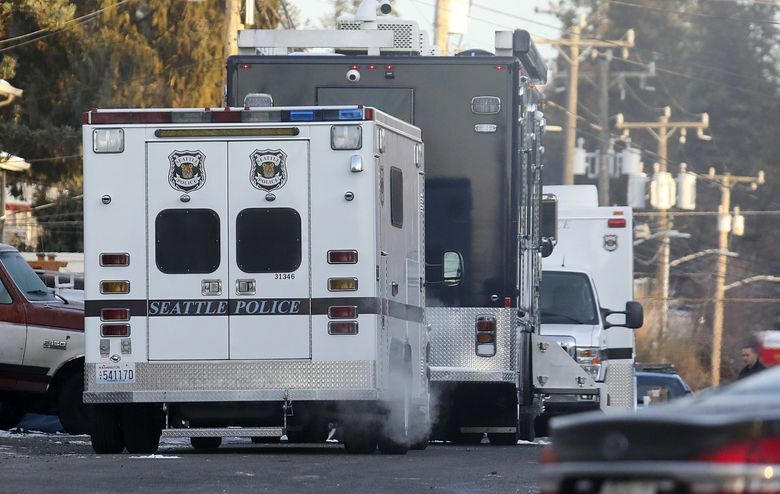 Officers had responded to reports of a woman’s death in a domestic-violence incident when they entered an apartment and were confronted by a man armed with a knife, the Seattle Police Department said earlier in the day. The statement represented a new direction by the union, in contrast to the Police Department’s efforts in recent years, under federally mandated reforms, to avoid reaching early conclusions on the use of lethal force. The department underscored that approach Thursday. While SPD previously investigated itself, it asked the King County Sheriff’s Office to conduct an independent investigation to provide greater accountability under a recent voter-approved measure. SPOG’s comments also threatened to undermine public confidence in the department, a key element of the reform effort. Late Thursday, Seattle police released body-camera footage of the shooting and a statement in which they rebuked SPOG for releasing the information. “It is not appropriate for anyone outside the department to discuss or disclose investigative details of active and ongoing investigation (without the authority of the department),” the emailed statement said. Shortly after, a spokesman for Mayor Jenny Durkan said the mayor agreed with the department. Officers responded to the incident in the 10500 block of Midvale Avenue North at 3:25 a.m., according to a statement from Seattle Police Department. Officers forced open the door to a third-floor apartment and found a dead woman inside, according to the statement. A man, woman and two young children, all uninjured, were hiding in another room. Police encountered a man with a large knife in a bedroom, according to the statement. In the bodycam video, two officers can be seen trying to negotiate with the suspect. The man follows the officers’ orders and lays down at one point, but then stands up and appears to grab a knife. He is shot as he moved toward the officers despite repeated orders to drop the knife. Officers attempted lifesaving measures on the suspect at the end of the video, according to the police statement. Seattle Fire Department responded, but both the woman and man were declared dead at the scene, according to police. The relationship between the man and the woman, who have yet to be identified, was not immediately known. Two officers who fired at the man appeared to have responded within department guidelines, according to a source familiar with preliminary information who asked not to be identified because the shooting remains under investigation. The Police Department’s Force Investigation Team (FIT) was probing the use of force by the officers, which is subject to review by the department’s Force Review Board. At the request of Seattle police, the Sheriff’s Office will conduct the independent investigation into the shooting to determine if the officers’ actions fell within the law, voluntarily applying a new protocol adopted by county and city police after the passage of Initiative 940 in November. The measure eliminated a legal barrier to prosecuting officers over the alleged misuse of lethal force and required statewide de-escalation and mental-health training and independent investigations of police use of force. The protocol provides a temporary response to I-940 while officials devise a statewide system for independent investigations. Earlier this week, King County Sheriff Mitzi Johanknecht asked Seattle’s FIT to investigate a Monday incident in which two deputies fired shots that missed a suspect allegedly armed with a knife and a screwdriver, the Sheriff’s Office said. SPOG’s statement came a week after its vice president, Rich O’Neill, retired from the department and immediately took a civilian job as the guild’s director of labor relations and media. A onetime president of the union, O’Neill has often taken combative stances in his dealings with the city. O’Neill, reached by phone late Thursday, defended the statement, saying it did not divulge information beyond what an assistant chief had publicly provided. However, in its statement, the union not only reached an overall conclusion but also provided details and characterizations of the incident. “Early this morning two of our officers responded to a very dangerous domestic violence incident. After forcefully entering the apartment, the officers were faced with a horrific and grizzly homicide crime scene,” the statement said, misspelling grisly. O’Neill disputed that SPOG had concluded the shooting was justified. “We’re basically stating our opinion … using different wording,” he said. SPOG, which represents more than 1,300 officers and sergeants, has generally refrained from commenting in detail on investigations into the use of lethal force. Last month, it released a statement on an officer’s shooting of a 36-year-old man on New Year’s Eve, asserting the man’s refusal to obey commands led to his death. But that statement came four days after the incident, after the release of police body-camera video and a news conference by the man’s family in which they blasted police. O’Neill said the guild is an independent organization that has a right to stand up for its members. He said it doesn’t matter to the public whether it waits several days to make a statement. Seattle police have been under a federal consent decree since 2012, when the city agreed to adopt reforms sought by the Department of Justice to curtail excessive force and biased policing. 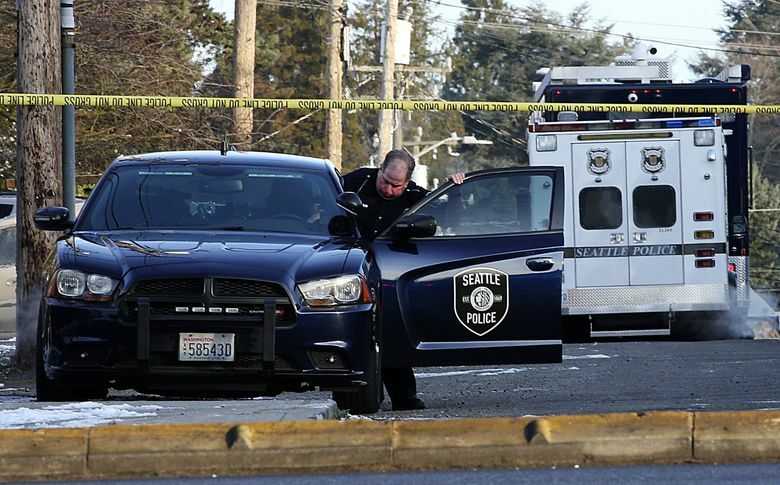 Seattle Times staff reporters Asia Fields and Sara Jean Green contributed to this story.